The Palestinian Center For Human Rights (PCHR): During the last few days, The Internal Security Service (ISS) in the Gaza Strip arrested dozens of Fatah Members on grounds of calling for Pro-Palestinian President Mahmoud Abbas Protests. Previously, many unionists were summoned while governmental teachers were prevented from holding a strike against PA’s cutting the salaries of dozens of teachers on its payroll. 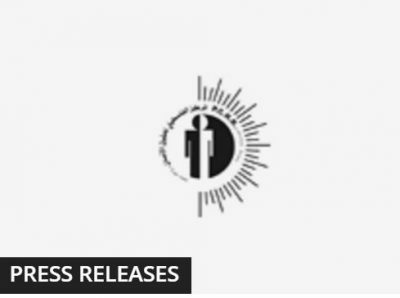 The Palestinian Center for Human Rights (PCHR) condemns these arrests and restrictions. PCHR also calls upon the security services to completely stop the arrests and summonses on grounds of political affiliation, unionism or freedom of expression. According to PCHR’s investigations, the ISS summons campaign during the last 2 days targeted dozens of Fatah Members throughout the Gaza Strip, and is still on. The security services released some of the arrestees while others are so far under arrest. Some of the arrestees declared hunger strike as they returned the meals provided to them during their detention, claiming for their immediate release. The Security services prevented and went after the pro-President protestors. In al-Nussairat Refugee camp, in the central Gaza Strip, police officers attacked a protest and beat up the protestors, arresting 4 of them on 24 February. Previously, the security services dispersed a similar protest organized in Jabalia refugee camp on 23 February and arrested a number of the protesters. Following that, the ISS launched a campaign of arrests and summonses against dozens of Fatah Members and detained some of them in their offices but released others. Meanwhile, many Fatah Members are so far under arrest. The security services also arrested a number of civilians, including a child from Deir al-Balah, on grounds of tearing down posters calling for the ouster of the president. (Sh. S.) , a 17-year-old child, said that he was summoned by the ISS in Deir al-Balah and interrogated on grounds of tearing down a poster calling for the ouster of President Mahmoud ‘Abbas. (Sh. S.) said that he was tortured as the security officers ordered him to sit on a chair and stretch his legs in order to beat him on the soles of his bare feet with a stick many times; one of which lasted for 15 minutes, to force him to admit tearing down the poster. On 19 February, the security services summoned teachers and unionists to interrogate them on calls by the Palestinian Teachers’ General Union to suspend school for 2 days, 20 and 21 February, claiming for teachers’ rights after deductions from their salaries by the PA. Among those summoned was Khaled al-Seiqali, Member of the Union’s General Secretariat from Khan Younis; Mohammed Salah al-Naffar, Fatah Teachers Office in Khan Younis; Usamah ‘Abdel Hamid al-Maqadmah, Deputy Secretary of Fatah Teachers’ Office in western Khan Younis; Usamah Abu Younis, teacher and Member of Fatah Movement; and Kamal ‘Abdel ‘Aziz Abu ‘Eishah Deputy Secretary of the Teachers’ Union in the central Gaza Strip. PCHR emphasizes that the right to peaceful assembly is guaranteed in the Palestinian Basic Law and the international human rights standards; stressing that the right to peaceful assembly only requires a written notification to be sent to a Police Director or the Governor according to Article 3 of the Public Meetings Law 12/1998. Moreover, violating this condition is not enough for dispersing the demonstration or arresting the organizers unless the demonstration included riots. PCHR Stresses that calling for a demonstration does not constitute in any way a crime or basis for a summons even if the demonstration has not met the procedures. Thus, PCHR Calls upon the Attorney General to intervene immediately to stop such summons campaigns without a warrant issued by the Public Prosecution and without any real basis that proves occurrence of a crime or an incident that requires a summons. PCHR also calls upon the security services in the Gaza Strip to respect the Palestinian law and public freedoms and adhere to the Palestinian Criminal Procedure Code and Palestinian Basic Law.